In a bid to become a more formidable destination for gaming creators, Facebook has announced today the launch of its Gaming Creator Pilot Program. Facebook, which says it connects a gaming community of roughly 800 million users every month, is looking to interface more directly with this subset by offering new monetization opportunities, streaming tools, and added discoverability across other Facebook-owned platforms like Instagram and Oculus. For instance, creators within the Gaming Creator Pilot Program will now be able to monetize via direct payments tendered by fans during live streams — though this feature will only be available on desktops at launch — as well as stream in 1080p/60fps. As it has done with other video initiatives in the past — including its Live and Watch products — Facebook is initially looking to seed the market by paying select ‘Let’s Play’ streamers to create content, with the hope that this gives rise to a scalable ecosystem driven by Ad Breaks. The end goal, according to the company, is to facilitate a marketplace amid its massive 2 billion user base where aspiring gamers can quit their day jobs to pursue streaming full-time. Applications for the Gaming Creator Pilot Program are available here. The company will only say that it is onboarding “dozens” of diverse creators (with respect to game selection and gender) into the program at launch. 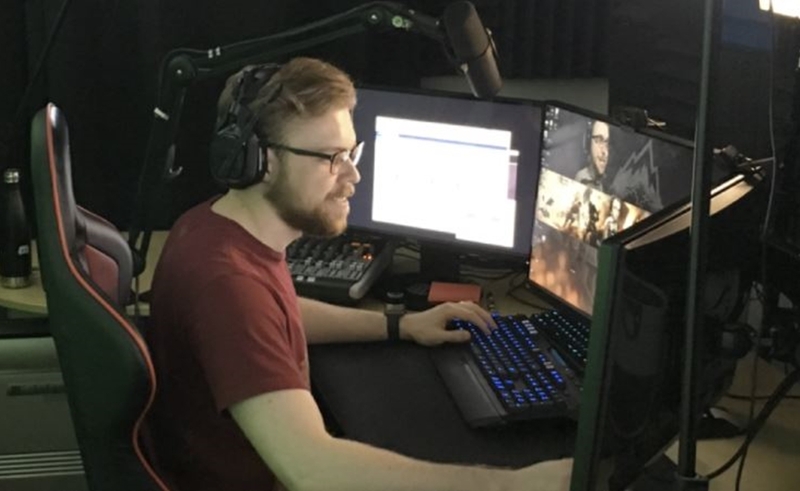 This includes StoneMountain64 (pictured above) — whose PlayerUnknown’s Battlegrounds and Fortnite streams have helped the 25-year-old amass more than 1 million followers over the past year — as well as Misses Mae, Doom49, and The Warp Zone. Facebook notes, however, that it is adding more gamers to the program every day. And this evening at 8:15 ET, roughly 40 of them will partake in a group stream of H1Z1 — a multiplayer shooter title from Daybreak. Pilot Program creators will also appear on the company’s behalf at gaming festival PAX East in April. The deals that Facebook is forging with Pilot Program members differ from case to case — with some calling for exclusive content, and others for different types of videos, such as live and VOD posts, says Gaming Creator Program lead John Imah, who joined Facebook from Twitch in 2016. That said, Facebook’s first major effort targeting gaming creators arrives years after competing platforms like Twitch and YouTube Gaming have established bustling economies. But Facebook’s director of games partnerships, Guy Cross, says that he doesn’t see the company’s latest foray as a zero-sum game. “At the end of the day, creators want growth,” Cross says — and Facebook is looking to play a larger role within the broader gaming platform mix, as well as increase the pace of innovation within the space. Facebook has ramped up its presence in other facets of the gaming realm. In 2016, for instance, the company announced a deal with popular game developer Blizzard (World Of Warcraft, Overwatch) to let creators stream play sessions to their respective Facebook pages. And earlier this week, Facebook pacted with esports company ESL to stream major Counter-Strike: Global Offensive and Dota 2 competitions. The Gaming Creator Pilot Program also arrives several months after Facebook launched a proprietary app and website tailored specifically to video creators.